CEO’s job is really hard. It is not because of the responsibilities that come with it, but because you need to have enough empathy and compassion to see things from every stakeholders perspective. After that analysis, you still need to make a tough call that may piss off some or most of the people. When the decision is done, in retrospect it probably was not the best decision to write home about. I read this post “One Bonehead Mistake by a former Yahoo CEO cost The Company $54 Billion“, the underlying mistake attributed to the then CEO Scott Thomson was the decision to sell the 20% Alibaba stake. Yes, in retrospect it sounds like a crazy decision. Then there was the decision by Steve Jobs to exchange his options for shares in Apple which apparently costed him $10.3 Billion. There is always 20-20 hindsight. The 15th lecture of How to Start a Startup was given by Ben Horowitz, the founder of Andreessen Horowitz VC company and the author of the book “The Hard Things about Hard Things“. It is probably one of the best books written in recent times about the struggle of being a CEO and making hard decisions. The lecture was fun and informative. Ben focused on one thing that most CEOs get wrong. That one thing is having the maturity to pause and contemplate and analyse things from every stakeholders perspective. There are no easy answers to this question of how a CEO should do that. This is the talent of the few, but it is a skill that can be acquired. I have referred to the book “Thinking Fast and Slow” by Daniel Kahneman. When a CEO takes a decision by pausing, automatically she is going to the System 2 of her brain. I wish startup founders and even CEOs of established companies take the time to learn this skill. I really enjoy these lectures, it gives an insight into those people who have built companies and walked the path. In addition to that I get great references and books that I get to read. 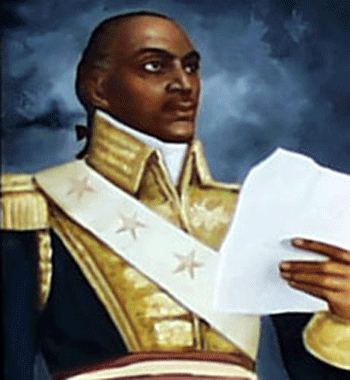 Ben was referring to Toussaint Louverture, nicknamed the Black Napoleon and leader of the Haitian Revolution. 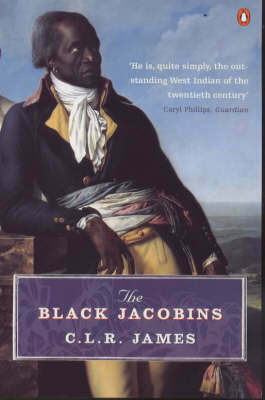 It was fascinating to read about his story, I plan to get the book “The Black Jacobins: Toussaint L’Ouverture and the San Domingo Revolution” by C.L.R. James. Looks like one of those classic books. A summary of book and reading the brief description in Wikipedia, tells me a great deal about the kind of leader Toussaint Louverture was. It takes tremendous personal will, courage and humility to be such a leader. Great things are achieved by those who are able to work on themselves to make themselves become that leader. I know I am going to enjoy reading this book. Coming back to the lecture by Ben, he tried to focus on how to take everyone’s perspective and make the right decision the company. There are some good strategies. Here is the video of the lecture. If you did not click on the lecture link above, here are the other reference blog posts by Ben. I highly encourage you to read it, you don’t have to be a CEO to read these. Remember leadership is a choice and not a title.